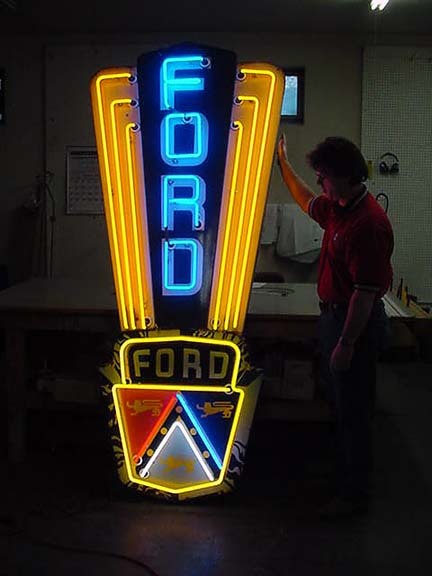 If we talk about beauty, some of the vintage metal signs are more impeccable and valuable than porcelain signs. We have many tin metal signs in our collection regarding which I have attached the pictures. I am engaged in buying, selling, collecting various types of signs and have a broad collection like no other. Our customers search for various tobacco signs. So the collection has numerous tobacco, pipe, chewing, cigarettes, etc. metallic tin signs. When everyone was implementing tin metal signs for advertisement, then how come Fashion sector lag behind. Due to this very reason, we have various jeans, shirts, clothing, shoes, etc. signboards in our collection. Transportation field also considered tin metal signs as an effective medium of advertisement. So we have trains, automobiles, cars, trucks, planes, buses, boats, ships, etc. tin old metal signs in our collection. Other varieties of signs include bus and Railroad signs. Tin metals signs of the bus like Greyhound, Trailways, MTA, Jefferson Lines increases the beauty of our store. Railroads signs like Great Northern, triangle lines from Chicago to St. Louis, Short lines, Soo Line railroad signs are a part of the collection. These vintage tin metal signs are highly collectible. And due to their increasing demands, their worth is increasing each day.